For the last twenty years the name Stanford Harts/Arts has been part of the art print distribution scene here in NZ. Originally this wholesale art print distribution business - publishing the "N.Z. Art Prints" New Zealand prints catalogue of kiwi artists - operated from Onehunga in Auckland, part of a larger enterprise "Stanford Arts" that supplied framing supplies, picture mouldings and framing equipment to the picture framing trade throughout NZ. By the turn of the century Stanford Arts had two branches when another warehouse was opened in Christchurch. The print distribution moved down to Christchurch and was run by Leanne Haglund, at the time of this shift we welcomed having another distributor so close by to us, just a couple of blocks away from we were located pre-earthquakes in Hereford St. When international framing manufacturer and distributor Larsen Juhl purchased Stanford Harts' NZ operations the wholesale art print distribution business did not fit with the plans of the new corporate owners. 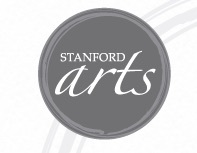 The print department was spun out as a separate business in 2007 and sold to Auckland businesswoman Janet Dalton who renamed the business Stanford Arts (cleverly dropping the H). Janet had 22 years in the framing industry including owning her own picture framing shop for the 12 years prior to purchasing the print department from Larsen Juhl. 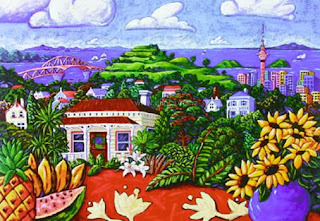 She continued to import on indent from a wide variety of art print publishers such as Bruce McGaw and Rosensteils, as well as wholesaling a growing stable of NZ artists such as Timo Design (Timo Rannali), Rob McGregor and Ingrid Banwell, an Auckland artists whose top selling print features in this post. Janet was very adept at collating large numbers of different prints from many different suppliers into her weekly deliveries to NZ Fine Prints and it was with some sadness that we heard she planned to close her business in order to retire at the end of 2015. We have managed, with Janet's kind assistance, to contact nearly all the artists whose prints NZ Fine Prints stock via Stanford Arts and look forward to continuing to make these titles available for purchase both through our mail order catalogues and online. Unfortunately a small number of art print titles will have to be deleted in due course as stock is no longer available, we'll be posting these prints in our endangered gallery. Picture framers looking for prints previously wholesaled by Stanford Arts are welcome to get in touch as we may be able to supply prints to them from our stock at trade prices now we are dealing directly with the artists concerned. Here at NZ Fine Prints we'd like to take this opportunity to wish Janet a long and happy retirement, with more time to travel both here and abroad!